Today’s generation of young people is the largest the world has ever known. All around us, we see that there are challenges of creating enough jobs and opportunities for all due to growing inequalities, lack of access to healthcare and education, protracted conflicts, natural disasters and other global environmental challenges. These challenges are important to all of us, but especially to the young people who make up more than half of the world’s population today. In Sri Lanka, young people make up nearly a quarter of the population. Therefore, the importance of responding to the needs of this generation of young people cannot be overstated. Addressing young people’s specific needs as well as recognising, promoting and supporting the role of youth as critical and positive agents of change, is a top priority for the United Nations. At UNDP, we work on several fronts to support young people and youth organizations around the world. At global and regional levels, UNDP has set up programmes and platforms to boost youth participation in the implementation of the 2030 Agenda. 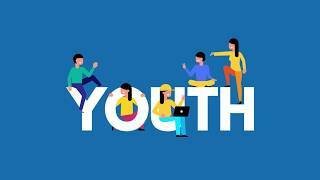 Globally, UNDP also supports the capacity development of young people guided by UNDP’s Youth Strategy 2014-2017 which recognized the importance of the involvement of young men and women in decision. 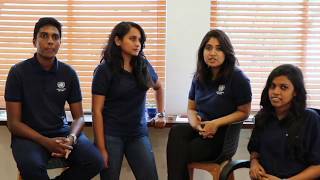 In Sri Lanka, we introduced the UNDP Youth LEAD programme in 2015 to provide an opportunity to four young people to work within UNDP, to infuse new thinking into our work. After two successful batches, UNDP recently recruited the third batch of young people who will work cohesively to support some of the ongoing UNDP initiatives. 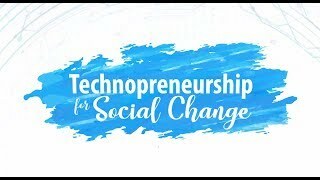 Together with the Ministry of Telecommunication and Digital Infrastructure Development, the National Youth Services Council and the Information and Communication Technology Agency of Sri Lanka, we are hosting the National Youth Social Innovation ‘Hackathon’ for the 4th year in a row, providing a platform for young people to be part of the solution to development challenges around us. We are also working with the National Youth Services Council along with Cisco and Citi to provide e-learning courses to 1000 young people across the country. With the support of the Government of Norway and the European Union, we partnered with a few national universities in the North and the East to provide a Youth Leadership Development course for young people who are unable to gain entrance to tertiary education. Are we sure we are Leaving No One Behind?